HindSite Software, a provider of field service software to the green industry, released the results of its annual Green Industry Benchmark Report. According to the report, 68 percent of respondents expect an improved economy this year, up from 48 percent a year ago. According to the report, 27 percent of those surveyed said attracting and retaining employees was their biggest issue, while 87 percent find it somewhat or very difficult to find employees. Of the nearly 70 percent of respondents who plan to raise prices in 2017, 39 percent indicated that rising labor costs was the primary reason. 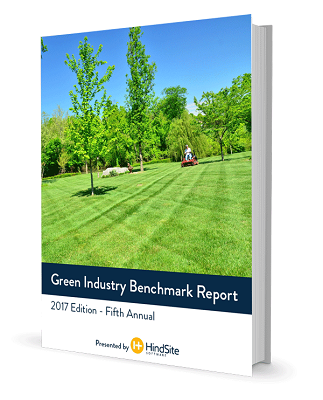 The Green Industry Benchmark Report is the culmination of a two-month-long surveying effort that reflects the opinions of hundreds of green industry business owners and managers who provide services including landscaping, irrigation service, mowing, fertilizing and snow removal. This is the fifth year HindSite Software has released a Green Industry Benchmark Report. Weekly training has increased 5 percent and employers offering no ongoing employee training have dropped from 18 percent last year to 12 percent this year. Low margins were cited as the biggest issue by 11 percent of respondents, up from 6 percent a year ago. Twenty-six percent of respondents saw profits in excess of 20 percent, up 3 percent from a year ago. This year’s Green Industry Benchmark Report also included interviews with five green industry businesses. The interviews focus on individual business issues and successes, practices and advice. Download the Green Industry Benchmark Report here.